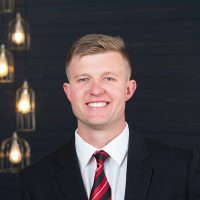 Growing up on the darling downs and schooling in Toowoomba has given Ben a great appreciation for his city and surrounding areas. Coming from a family who has consistently been involved in the livestock and property market, he’s had excellent exposure in this area. Ben has a strong appreciation for local people and realises the importance of having an agent you know and trust. Being a young home owner, he knows what’s involved in purchasing your first home and all the challenges and hurdles associated with it. Under the professional guidance of Murray Troy, he has a commitment to supporting you through the selling and buying process and striving to succeed the best result possible. Ben is excited to serve his local people. Would you like to speak to Ben? If you’re thinking about renting or selling your property and you’d like a clearer picture of how much your property might be worth or want to have an informal chat about general property market trading conditions, Ben will be happy to arrange a full market appraisal of your property.